Just like “what goes up, must come down”, all ski seasons must come to an end. This 2018/2019 ski season in Chamonix has had many a new addition to the diverse platter of Chamonix offerings. In our Chamonix ski season round-up of the season that has been, we also look ahead to the 2019/2020 ski season with some news as fresh as we hope the snow will be! Last year, the most famous après-ski brand in France “La Folie Douce” purchased what was previously the Club Med of Chamonix. The brand, which has been expanding across the Alps, can now call Chamonix home in one of the original “Palace” hotel constructions, the Grand Palace de Savoy, which dates from Chamonix’s golden Belle Epoque age at the turn of the 20th century. The brand undertook an entire overhaul of the property’s classic style and turned it into a chic avant-garde party mansion. At the Folie Douce Chamonix you’ll find several options for food and drink; starting at the outdoor terrace there’s Aperol and pizza, followed by Beer o’clock happy hour specials where the hour of the evening represents the price of your pint from 3pm-7pm. 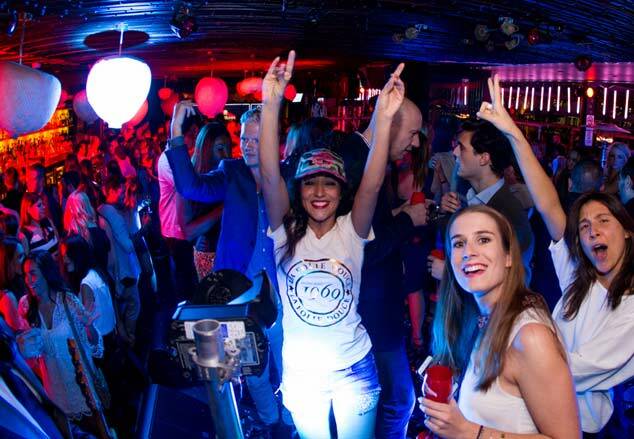 From 4pm, the après-ski moves inside and the downstairs bar hosts a variety of musicians, dancers and acrobats late into the night. There is also a choice of restaurants inside: enjoy a casual meal at La Petite Cuisine, step up the culinary experience at La Fruitière or enjoy the best cheesy Alpine specialities at Le Mayen. In addition to the food and entertainment at the newest iteration of this classic hotel are the spa, fitness room, kid’s club, sports shop and even a souvenir store. Recently another famous brand moved into town, this time Italy’s premier spa chain – QC Terme. Until last summer, fans of luxury Italian wellness had to head over the border to Courmayeur to Pré Saint Didier to experience a QC quality spa date. Now the brand’s first establishment outside of Italy has settled into Chamonix, at the foot of Mont Blanc. The wellness complex is 3,000m2 with a heated infinity pool outdoors as well as several saunas and jacuzzis – in total up to 30 different wellness treats. When you book your Mont-Blanc Unlimited lift passes from the Chamonix All Year Resort Shop enquire about your free entry to the spa, included with any three to 21-day pass prior to May 1st 2019 (but excluding weekend use). As well as advancing the image of “Ivy League” style, Ralph Lauren also helped to popularise the Polo Shirt around the world – that collared, short-sleeved sport shirt featuring his embroidered polo pony on the chest – which expanded the brand internationally for decades. Today Ralph Lauren has diversified its range, launching colognes, denim lines and a luxury line. This past winter the brand has completed its first full local season, replacing the Chanel store in Place Balmat; one of 388 stores internationally. Step back in time and into a New York city-style cocktail bar in central Chamonix, right by the town hall and the Tourist Office. This new bar has a growing army of fans with a chic modern twist on 1920’s décor, original cocktails and agreeable ambient tunes. This Chamonix Sud staple has been serving up bacon breakfasts and tasty pick me ups for years now, but recently underwent a makeover which has made the space both more welcoming and lively. In addition to the new décor, there is a new menu and new working hours too. Don’t worry, all your old favourites are still on offer, but now you can also enjoy an eat-in or take-away dinner meal at the bargain price of just 10€Euros. If you visit Chamonix regularly, ask the staff to set you up with an account so you can start accumulating loyalty points to spend as in-store cash! Finally! A competitively priced pizza delivery service in Chamonix. Need we say more? Dainty uses sourdough and the Neapolitan tradition of pizza making, that requires fermenting the dough for at least 3 days. They pride themselves in being ethically sourced and often organic, but best of all are well-priced. 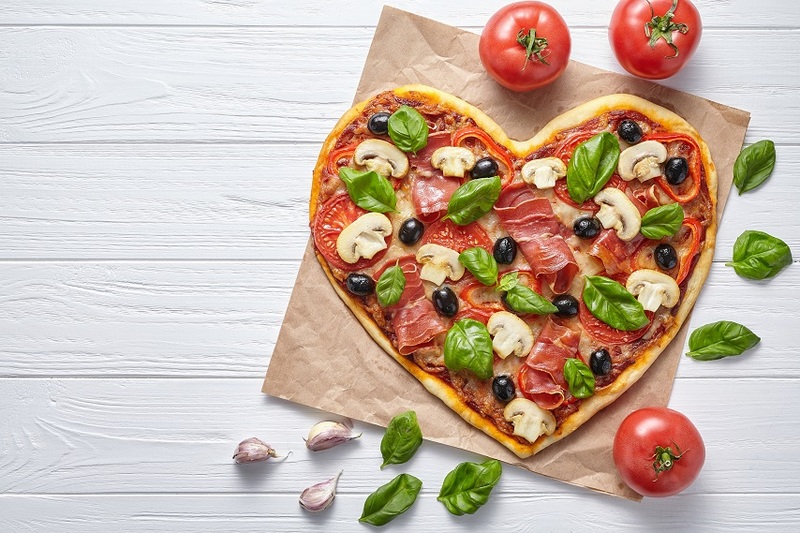 For parents eating in at their Chamonix Sud location, they will even offer a kiddie pizza (half the size of regular, tomato & mozzarella) for just 1€ everyday from 6pm-7pm (max. two children per adult). We’ll need to update our list of recommended pizza restaurants! Chamonix ski season round-up – the ski goes on…. This year the new Tabé chairlift replaced two older chairlifts at the Grands Montets. The new 6-seater chairlift has the capacity to transport more than 2,000 people per hour. Additionally, the area welcomed a new area dedicated to beginners with two drag lifts and new snow cannons beneath the Lognan mid-station (1900m). All these upgrades were possible thanks to a €10 million investment. Don’t forget, Les Grands Montets always goes out with a bang to celebrate the last day of the ski season. 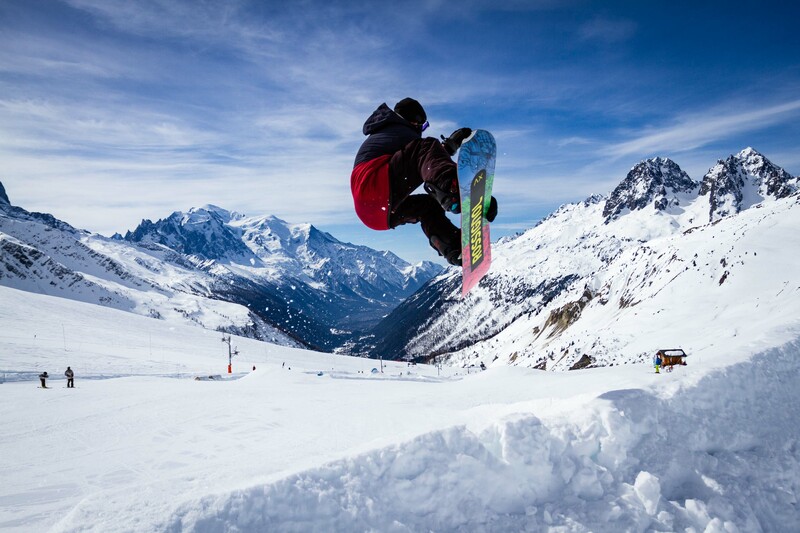 With the final spring snow, the Grands Montets offers live music and interactive attractions which may include any combination of a splash pool, zip line, freestyle rails, slacklines, parets, speed riding and without fail WILL include a fun new fancy dress theme. Lift tickets are 13€ for the occasion. New this season was the purchase and installation of a top of the line reinforced air-bag. This is located just below the 6 seater Parsa chairlift, which was new in 2017. Here you can have a go at the jump and access a video of your attempt with the use of your ski-pass online here. In early March, it was confirmed that the ski season would be extended until 22nd April 2019 thanks to the good quality and coverage of the snow. In the meantime, quality spring snow conditions have allowed the Chamonix lift company to extend operations for this current season at the site and including the lift as below. Today the cable car at la Flégère can take up to 400 passengers to altitude in an hour. However, for the 2019/20 season, a brand NEW replacement gondola is on the way which will significantly increase this capacity. A new project announced in the local French media reveals the Montenvers site may soon be equipped with a new Glaciorium, built under the station and against the rock revealed by the retreating glacier ice. The creators hope it will become an international center for Glaciology, as part of a general plan to continue developing the Montenvers site. We can also expect updates to the cable car to be announced in the coming seasons. The original cable car was built to reach down to the glacier, but as the ice retreats, the lift will likely be relocated to continue providing easier access. The idea for a NEW 3D cinema immersion experience has been debated for the base of the Aiguille du Midi (currently home to the local radio station Globule 90.5FM). This will mean some overdue entertainment for those waiting in often long queues for their place in the next cable car. Additionally, the Chamonix lift company remains optimistic that they will reopen the Panoramic Mont Blanc gondola for the 2019 summer season. This is the lift which connects the Aiguille du Midi to the Italian Punta Helbronner (also accessible from Courmayeur by the Skyway Monte Bianco. 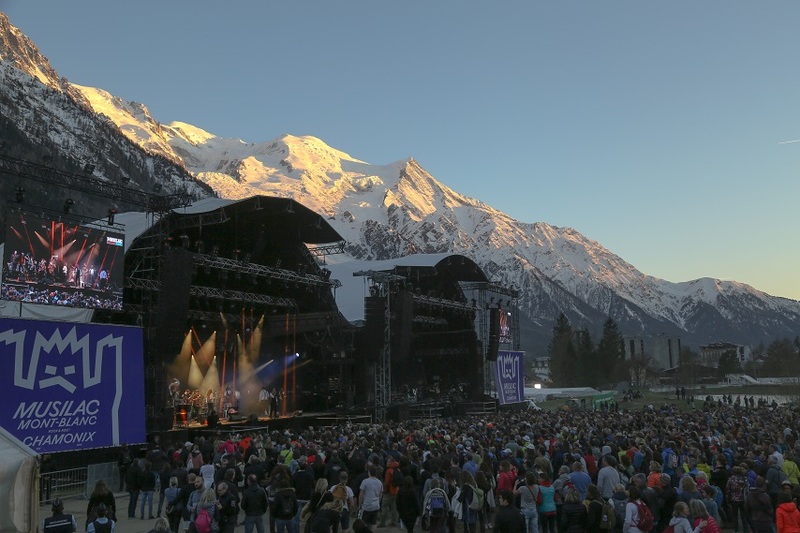 Musilac Mont-Blanc Year Two arrives Friday 26th and ends Sunday 28th April 2019. With this international pop-rock-electro music event in town, you can make the most of the sunshine and discounted end of season ski passes as you witness internationally renowned artists in an unbeatable setting. Once again the venue is the Bois du Bouchet area with its breathtaking sunset views of Mont Blanc. Buy your tickets online and book your accommodation with Chamonix All Year – check out our last-minute accommodation deals. This year’s line-up is as follows and will also include local warm-up acts. If you buy a one-day Mont Blanc Unlimited ski pass or a return ticket to the Aiguille du Midi, you’ll get free entry for the same day! Find out more here. # 2 Unite at the “Centre des Congrès le Majestic”, the same building as our Majestic apartments, for a spot of magic! Chamonix comes to life for 5 days of magical moments, this includes Gala evenings with French magic star Eric Antoine, solo shows and even special shows for children. Kids run wild from 3pm to 5pm at this historic institution of Servoz. The theme is to help out in the farmyard as several eggs were stolen from their mothers! Kids as young as 2 years old are welcome to find as many eggs as they can and return them to the mother hens. There is a participation fee of 4€ and you should book ahead by calling +33 (0)4 50 55 29 46. While the rest of Chamonix parties the day away at Grands Montets you can grab a bargain at Place Balmat thanks to the Chamonix Centre parents’ association. Click here to look at some of our top luxury properties which sell out fastest for peak dates such a Christmas, New Year and February half-term.